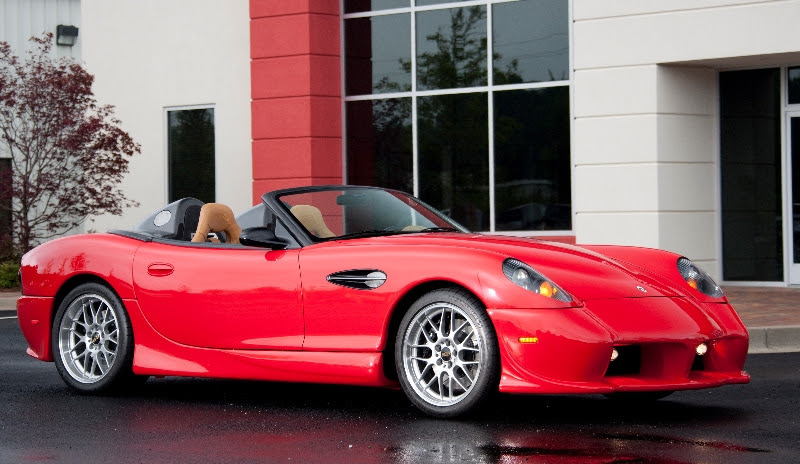 The Panoz Esperante 25th Anniversary Edition starts at $179,120. Only 25 copies will be built. Panoz today revealed the 25th-anniversary edition of the Esperante sports car. Presented here is the unedited press release that accompanied the new model’s introduction. Sept. 4, 2014, Hoschton, Ga. – The 2015 Panoz 25th Anniversary Edition Esperante Spyder and Spyder GT mark a new chapter in the Panoz LLC© history where all-new performance features and luxury amenities thrust this hallmark of Panoz sports car design far forward while remaining true to its Esperante styling roots. According to John A. Leverett, Panoz LLC’s vice president of sales and marketing, the 25th Anniversary Edition Esperante Spyder is a special exclusive hand-built model that celebrates the company’s racing heritage as well as Panoz sports cars of the past 25 years. It is the direct result of close technological collaboration among the various Panoz affiliates, including Élan Motorsports Technologies, Élan Composites, Panoz Engineering Services, JRD Tuning, and Panoz LLC.A hallmark of the Panoz LLC approach is its one-on-one “Extreme Personalization” process with the customer and the Panoz designer driving the results to create the customer’s dream car while nurturing a true personal relationship.Panoz LLC expects to produce about 25 examples of the 25th Anniversary Edition Esperante Spyder and Spyder GT to commemorate the anniversary milestone. Production will be intentionally limited to a handful of custom builds for select customers, keeping with Panoz LLC’s goal of creating America’s most exclusive custom sports car. The Esperante Spyder takes just 3.7 seconds (estimated) to reach 60 mph (3.9 seconds [estimated] to 62 mph or 100 km/h) on its way to a top test track speed of 172 mph. It can cover the quarter mile in 12.5 seconds/112 mph. The common ingredient in all outstanding sports cars is a lightweight yet robust and stiff chassis that is capable of handling the acceleration, braking and lateral g-force rigors of performance driving. The Spyder has a new, shorter windshield reinforced by the aforementioned tubular steel A-pillars with an all-new carbon fiber windshield frame. The carbon fiber windshield frame is not just high-tech window dressing; it makes extensive use of uni-directional carbon fiber for additional strength and stiffness. 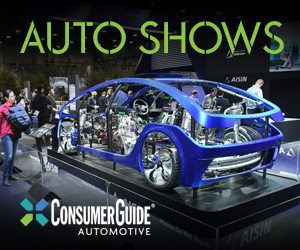 Twin high-strength steel roll hoops braced into the rear subframe also help contribute to the vehicle’s stiffness and increased structural integrity. It also contributes greatly to the new car’s low-slung profile. Engineers struck an ideal balance between the chassis rigidity needed to deliver very high levels of traction, braking and cornering and a design that would not severely impact overall ride comfort. The Esperante Spyder and Spyder GT each offer unique sports car bodies. The Esperante Spyder has the proven and lightweight SPF (Superplastic Forming, commonly referred to as ‘super formed’) aluminum body revolutionized on previous Esperante variants. It is made in Riverside, Calif. through a process developed for aerospace applications. Panoz was the first U.S. auto manufacturer to use super formed aluminum panels for its bodies when it created the 1992 Panoz Roadster. It followed up in 1996 adding an aluminum chassis and an all-aluminum modular V8 engine for the Panoz AIV Roadster. It became America’s first Aluminum Intensive Vehicle (AIV), a process used by some of the world’s most elite vehicle manufacturers. The Esperante Spyder GT is a wide body version that features a mix of SPF aluminum panels and strong and lightweight carbon fiber body panels that are created with help from Élan Composites. A division of Élan Motorsports Technologies (a Panoz LLC affiliate), Élan Composites is an advanced composites parts and tooling maker that uses modern, ultra-lightweight materials such as carbon fiber, prepreg glass, aramid fibers, Kevlar®, aluminum and Nomex® core, and woven polypropylene to create components for automotive, motorsports, aerospace and many other applications. A key visual difference with past Esperante sports cars is the car’s namesake Spyder configuration. The low-slung, open-cockpit, two-seat configuration features a visually dynamic carbon fiber panel where the convertible top traditionally is located. It conceals the functional twin roll hoops, houses the car’s twin fuel doors and assemblies, and gently flows to the leading edge of the Esperante’s trunk lid. Included is a tonneau cover to seal and protect the cockpit from the elements. Engineers are developing an optional hardtop as well as a soft top that Panoz LLC is planning to offer in the very near future. Both bodies feature completely redesigned and aggressive front fascias. In back is a new rear fascia with a center exhaust port and a blacked-out taillight and license plate section that coordinates with the black carbon fiber trim on the car. The Spyder GT features a wide body version with flared carbon fiber fenders and rocker panels with an optional clear-coated carbon fiber front splitter and rear diffuser. Esperante Spyder GT dimensions are not yet available. The Esperante Spyder features completely revised and fully independent front and rear suspension systems with a hollow front sway bar, tubular steel independent upper and lower control arms, revised bushings, coil-over springs and double adjustable nitrogen-charged shocks. Steering control comes by way of hydraulically assisted rack and pinion setup providing quick-response sports car steering of 2.6 turns from lock-to-lock. The overall turning radius is 36.9 feet (11.25 meters). Of course, Panoz engineers ensured the Spyder’s braking performance is on par with its outstanding driving capabilities. In the front are 14-inch (356mm) two-piece floating internally ventilated and slotted discs with four-piston Brembo® calipers. The rear brakes feature 13-inch (330mm) two-piece floating internally ventilated and slotted discs with floating calipers. The Spyder GT features six-piston monobloc Brembo® calipers up front and four-piston Brembo® calipers in the back. Finally, the 25th Anniversary Edition Esperante Spyder rides on 8.5 x 19-inch front and 9.5 x 19-inch rear forged aluminum BBS wheels with 245/40 ZR19 and 285/35 ZR 19 Michelin Pilot Super Sport ultra-high-performance front and rear sport tires. An optional two-piece forged aluminum BBS RS GT wheel set is available. BBS aluminum monobloc front and rear wheels measuring 10 x 19 inches and 12 x 19 inches are standard on the Spyder GT, and all come equipped with a tire pressure monitoring system (TPMS). The Panoz designers’ and engineers’ weight-savings measures paid off as the Esperante Spyder weighs just 3,128 pounds and 3,287 pounds for the Spyder GT. The Esperante’s standard seats can be swapped for available light-weight racing units. Keeping with its customization objectives, Panoz LLC offers customers several high-performance powertrain packages ranging from 430 naturally aspirated horsepower to 560 supercharged horsepower. The standard powertrain package is a Panoz/ Élan Power Products-tuned naturally aspirated 430-horsepower V8 engine featuring an all-aluminum block and aluminum heads. Optional is a 560-horsepower supercharged aluminum block V8 with aluminum heads. 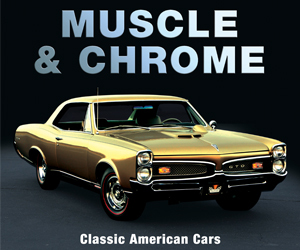 Both are mated to a heavy duty, close-ratio Tremec® T56 Magnum six-speed manual transmission as standard equipment. A six-speed automatic transmission with paddle shifters is available as an option. All engines feature sequential multi-port electronic fuel injection. Other features include a 3.55:1 ratio limited slip differential in an aluminum housing with heavy duty half shafts. Past Esperante interiors are absolutely unique to Panoz as designers and craftsmen were able to add Panoz styling by mixing custom work with components sourced from U.S. automotive suppliers. Today the Esperante Spyder features an entirely new and luxurious full leather interior with optional Alcantara® accents on the seats, dash, door panels, center console, and as inserts on the Spyder’s carbon fiber Spyder shell. In the ongoing effort to save weight, the standard lightweight sports seats feature manual adjustability and offer outstanding support and luxurious comfort. Panoz LLC also offers the optional ultra-lightweight race-inspired seats, which feature form-fitting functional bolsters and carbon fiber shells on the seatbacks. Both are adorned with embossed Panoz logos on the headrests, and multi-tone leather and tan stitching options are also available to suit individual customer tastes. Both the standard and the optional seats come with Schroth four-point safety harnesses with inertia reels and competition lock-out switches. They operate like regular seat belts for normal driving but with a push of a button they can be locked to perform like a harness to help keep occupants secure during performance driving activities such as closed-course track or autocross events. The interior offers more room than the previous generation Esperante models, with 44.25 inches (1,124mm) of legroom, 54 inches (1,372mm) of shoulder room, and 54 inches (1,372mm) of elbow room. The trunk provides 8.8 cubic feet (249 liters) of cargo capacity. Most striking is the Esperante Spyder’s all-new leather dash with its state-of-the-art electronic gauge cluster positioned directly in front of the driver. While a departure from the Esperante’s traditional centrally positioned gauge cluster, the new design is a fresh approach and further indication of the sports car’s evolution. The 10.6-inch ID4Motion digital instrument display features graphic representations of high-tech gauges to monitor the car’s vital systems such as speed, rpm, water temperature, oil pressure, charging, temperature, fuel level, and odometer. The display also has two “skins” allowing the driver to choose between traditional black background graphics or a light brushed aluminum/silver background. Brushed billet aluminum accents for the gauge cluster, air vents, and lower dash add a touch of modern sophistication and richness to the overall appearance and tie in nicely with the aluminum body and chassis philosophy. Customer options include the ability to have these components painted, created out of carbon fiber, or adorned in several unique colors of “billet” wood. Instead of the thin layers of wood veneer traditionally used by many auto manufacturers, which tends to fade or peel over time, Panoz LLC uses a resin-infused wood process that enables the company to offer real, solid wood trim in a stable, durable form. 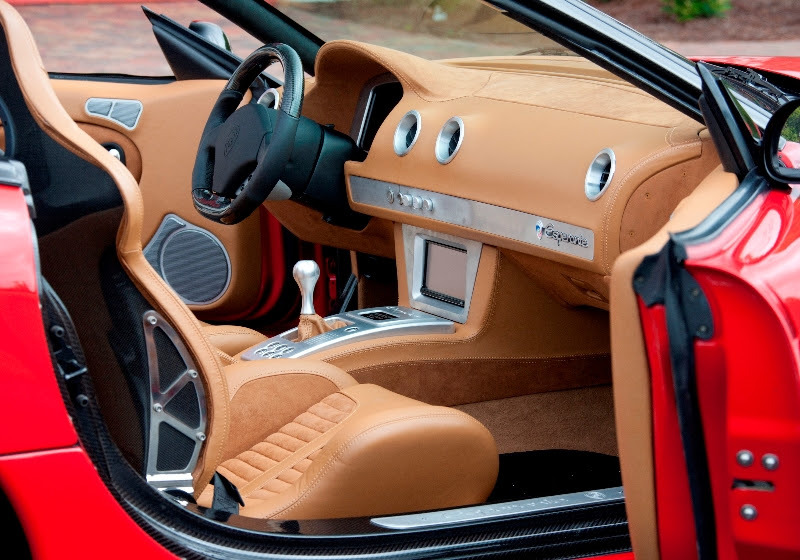 Several exotic wood options and a range of unique colors enables to Panoz Esperante Spyder customer to personalize their car’s interiors to suit their individual tastes. Standard is a 13.75-inch diameter leather-wrapped Momo© steering wheel features the Panoz logo and controls for the ID4Motion display. Customers can also upgrade to an extra thick, 14-inch diameter D-shaped carbon fiber custom steering wheel with leather or Alcantara® accents and available custom stitching. The turn indicators are operated using a conventional single stalk that also contains controls for the two-speed, intermittent wipers and the headlights’ high/low beam functions. The new dash flows elegantly into the center console that features a 7-inch multimedia infotainment screen with navigation, DVD and AM/FM/SirusXM® satellite radio (subscription required), connectivity for many mobile and portable audio devices, and full HVAC controls. Power window and door lock controls are located at the passengers’ fingertips on the billet center console near the brushed aluminum gear shifter/selector along with the competition belt lock switch. Keyless ignition with push-button start adds further convenience. Clear-coated carbon fiber door sills and a range of optional trim, including wood, carbon fiber and to some extent nearly anything the customer desires, also are available. 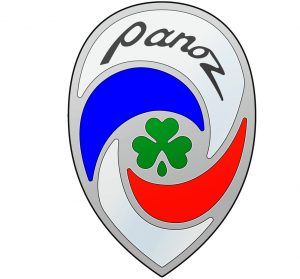 Panoz LLC also offers a range of custom options, giving customers an array of personalization choices to suit their individual desires and needs. With a price of $179,120 for the 25th Anniversary Edition Esperante Spyder and $204,750 (plus destination) for the Spyder GT version, these all-new Esperante models continue to herald the Panoz LLC goal of offering its customers true exclusivity, uncompromising performance and outstanding value. Written by: The Daily Drive staff on September 4, 2014.on October 23, 2017.